A visit in the Palmengarten today where I came across a comic book ‘Asterix bei den Pikten.’ Since it’s about tattoos in a way, I bought it. The Picts remain mysterious even now, so one can make them be many things. 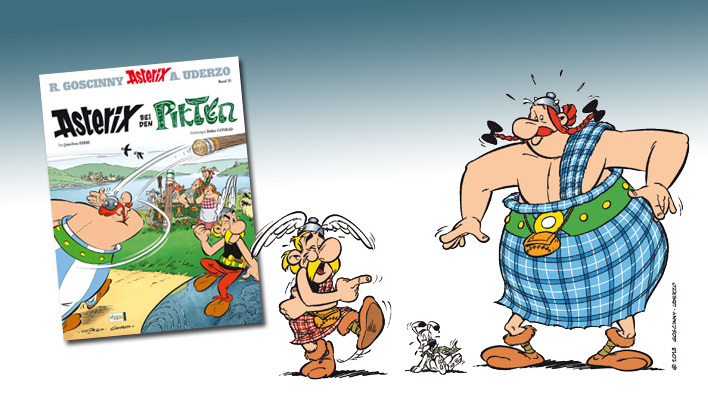 The Asterix series made them humorous, not very heavily tattooed (or painted for that matter) and pretty much as rebelious as the famous Gauls. Overall it makes for a funny and light read!